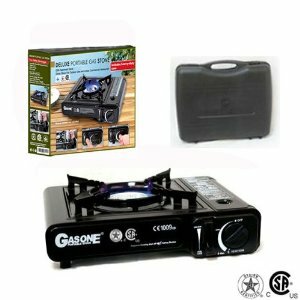 This incredibly easy to use portable gas stove is perfect for emergencies and camping. It is essential for any emergency. There is a push-button starter so you don’t need matches, lighter, or batteries. There is a safety shut off as well, and the storage and carrying case makes it easy to transport and keep clean.